​KTTC News • Rochester, Minn. • July 2009 – Aug. 2009 • As an intern, shoot reporter packages, edit video and report original hard news. Reuters Television • Brussels, Belgium • May 2010 – July 2010 • Edit & shoot video as an intern for an international news agency covering EU politics, Belgium, the Netherlands and Luxembourg. 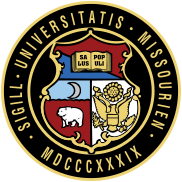 University of Missouri '11 • Columbia, Mo.